Living on the beach is an exhilarating experience. Waking up every morning to the soft, crashing sound of waves is unlike anything else. When you live in a beach house, the interior décor should be as inspiring as your natural surroundings. Here are some of the top trends right now for interior beach décor to help you get started. The focal point of any beach home is typically the view of the ocean. If your beach home sits directly on the ocean, you may want to keep the interior furnishings and style as minimal as possible. Cut open the walls of your home to offer a panoramic view of the ocean. If you are unable to remodel the walls of your home, you can still maintain a minimalist style that brings out the beauty of the ocean. You may want to use a few pieces of “block” furniture to fill your patio and living room. Kitchen shelves may be condensed into one wall to offer an overall sleek look. The Bohemian look is also trending right now for beach homes. The Boho vibe is all about bringing together a variety of colors and creating a warm atmosphere within the home. Easy ways to achieve the boho look include using richly colored throw pillows and rugs with intricate designs. Extra throw blankets can also be placed on couches and beds for those chilly nights on the ocean. You can also add a few unique touches if you are interested in going for the boho look in your beach home. A hammock looks lovely on the patio or lanai of a boho beach home. Hammocks can also be intermingled with patio beds to achieve a truly ethereal look. These items can also serve a great purpose when you host a small get together. They will help your guests to unwind, relax and enjoy the eclectic atmosphere of your beach house. You may post the artwork of you or your children on the walls of the home. Bejeweled candles also add charm to the atmosphere of a beach home with this décor. Some of the color themes that you may want to consider for this look include rich magenta, deep turquoise, light orange, light yellow and navy blue. Another option that you have for designing a beach home is the rustic and shabby-chic style. This style goes beyond using hardwood floors and wicker furniture. 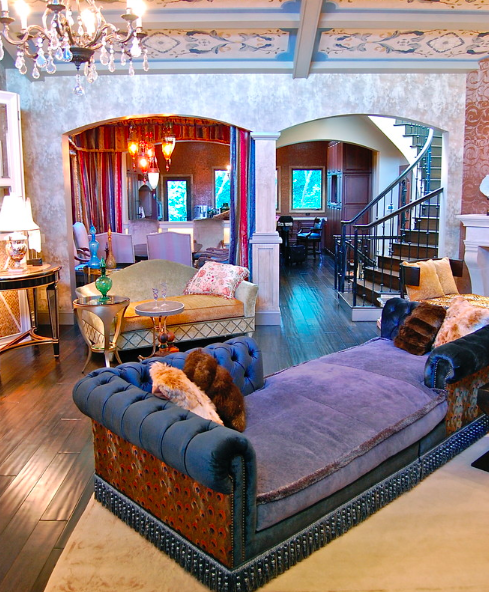 The rustic style is about creating a warm ambience in the home that is inviting and appealing. You may want to add touches of the “rustic” look throughout the home by choosing focal pieces with rustic wood. 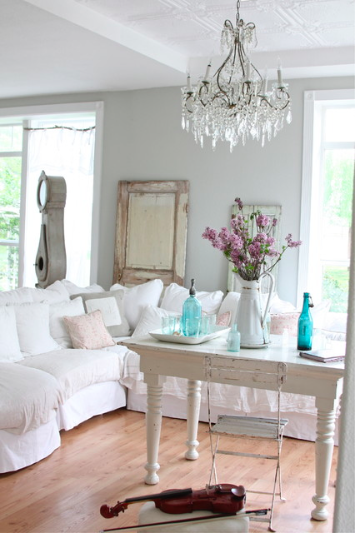 Distressed dressers and picture frames also look great in a home that is styled with a shabby chic theme in mind. White linens also look beautiful in a beach home with the shabby-chic style. You may want to create a breakfast nook with plain, white chairs draped in white linens. This can open up your home and also create an inspiring look. Other small touches that you can consider for this type of décor are seashell garlands, candles and lanterns. You may want to purchase a few glass dishes, fill them with seashells and place them throughout the home. Painted mason jars can also add to the shabby-chic theme and look great when you place flowers in them. Designing the interior of your beach home in San Diego is all about staying true to yourself and your vision. If you are fortunate enough to have a home on the beach, it is important that it reflect your personal sense of style.